We showcase the truth behind great brands. By revealing and reinforcing the core values of what you do and why you do it, the films we create together personalize your business so you can scale and grow like you've always wanted. and gained five bags more. To make sure we're all on the same page, we ask that you fill out our Discovery Form. The answers you provide will not only help us better serve you (in many cases, the answers begin to form the "script"),these answers will be a high-level guide toward creating content you can leverage with success. Video marketing assets are meaningless if we don't know early on your needs for distribution and who your target audience really is! After we've received your answers to our Discovery Form, we'll reach back out to you if it seems like we're a good fit. Hopefully, we can expand the discussion and dive deeper into pain points you're currently dealing with. The goal of this complimentary Strategy Session, whether in-person or over-the-phone, is to get to know each other better and understand where you're coming from at this point in time. We can't help you connect with your target audience if we aren't mutually connected from the get-go! Following the Strategy Session, once you've paid your 50% retainer fee and signed our commercial filmmaking agreement, we can officially begin pre-production! This will entail lining up any necessary talent, finalizing the script or interview questions, conducting appropriate market research, making sure all crew/equipment is available for your eventual production day(s), and settling any other video-related logistic matters. We'll be on set as long as necessary till we've captured what's necessary for your messaging. After the production day(s), the assets really come together during post-production, where we keep in mind who is your target audience, how you want them to feel, and what you want them to do. Throughout the editing process, we will be hyper-focused on evoking the emotions that lead people to buy! Hannah Lozano is an Atlanta and destination wedding + portrait photographer. 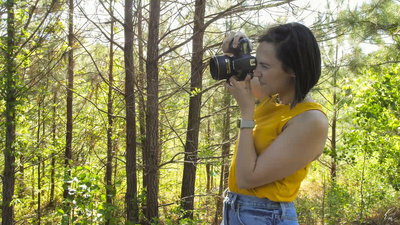 We loved showcasing the passion, skills, and down-to-earth spirit that makes her one of the area's best photographers. 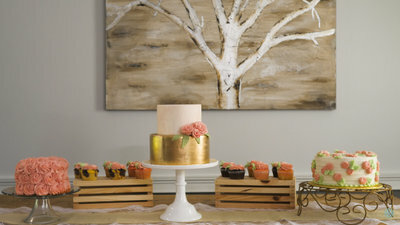 Diane Acuna has been creating custom cakes in the Gainesville, GA area for over 5 years. Her reputation for impeccable designs and excellent service continues to grow. With a focus on specialty wedding and celebration cakes, Diane and her husband Joel are some of the best bakers in the area! This AirBnB in the Osa region of Costa Rica is truly a dream home. 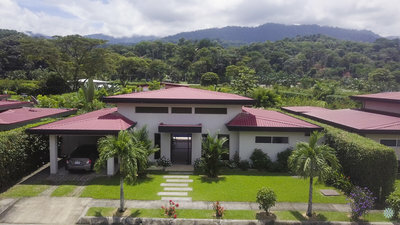 Its modern amenities and close proximity to the beaches of Parque Nacional Marino Ballena make it a perfect place to enjoy a tropical vacation. 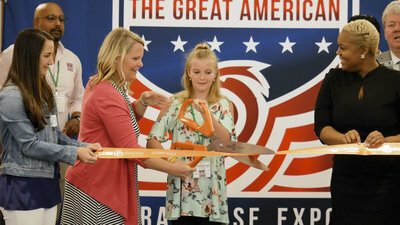 The Great American Franchise Expo connects hundreds of franchise businesses with potential owners. With Georgia being the number one state to do business in the country, the tour was warmly welcomed in Atlanta at the Cobb Galleria Centre. 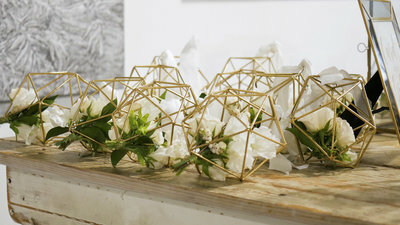 Organized Occasions is an Atlanta-based wedding and event planning company run by Ryan Marston. From private dinner parties to corporate galas and large wedding celebrations, Ryan is dedicated to creating exquisite and flawless experiences for her clients. Documenting Hatem Kalaoun's story as an immigrant to America, a self-made small business owner, and a father has been a passion project for Abraham ever since college. For the past three years, we've discussed and imagined how we'd film his dad at the garage--we just needed the right opportunity. As soon as you realize you need to up your marketing game. Everyone is inundated with so much information nowadays--our attention spans have declined severely. The consequence? Making decisions feels harder than ever. While there are plenty of options to choose from, what makes you stick out from the rest? 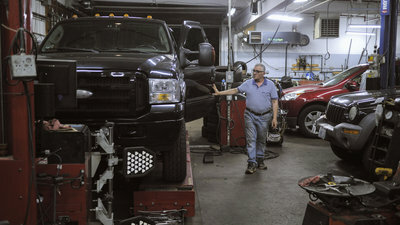 The sooner you establish you have the actual solution to their problem, the sooner people will begin to trust you as the expert they ought to buy from. How far in advance should we Retain Your Services? 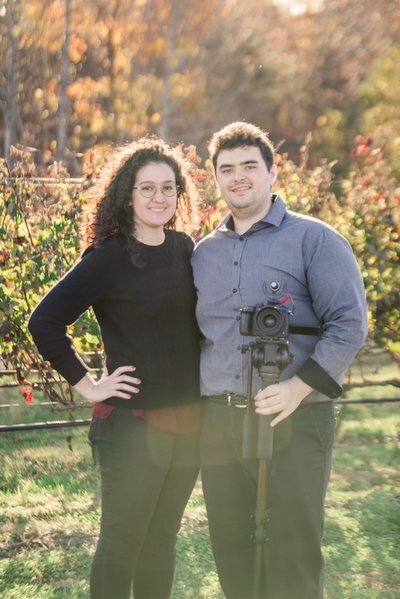 Both Abraham and Daniella will always be present on production days, as we like to know exactly how things are going and we usually work in tandem with separate cameras to capture complimentary footage that works perfect in the edit. If necessary, we might bring on additional crew to help the production run smoothly and get the job done right; the scope of your storytelling needs may vary. Many people express the concern that they really like what we do and they understand the power of video, but are afraid of the time commitment it will take to produce content. The irony is you should never be a slave to your business. Our goal is to give you your time back through strategic video! What if I don't have the time to be on camera? We're NOT satisfied if the videos we plan to create for your specific business don't ultimately move the needle. Consider the assets we create as SOLUTIONS to your current pain points. We always remind people, there is a reason you filled out our Discovery Form in the first place, so there must be a legitimate reason why you're interested in LEVERAGING video assets for your long-term benefit. Will This Investment Actually Pay Off? Yes!! We can't legitimately help you otherwise! The Discovery Form is in place to understand you and your specific business from the get go...no one knows your business like you do, right? We pose the questions in the Discovery Form not to intimidate, but rather, to make the most of our time together during the complimentary Strategy Session. Do We Really Need to Fill Out Your Discovery Form? We pride ourselves on our ability to treat on-camera time with talent like an informal conversation rather than your typical Q & A. And our editing technique will never you leave you looking awkward, we pay special attention on-set and later in post, to set a natural tone and elicit the BEST soundbites. Often, the way we structure our on-camera conversations, we'll come back to questions or topics we touched on earlier. This is because depending on how we pose a question, we may get a slightly different response, and usually the longer we chat with someone, the more they naturally begin to open up. The nuances of all this can be discussed ad nauseam; suffice to say, we'll make sure the only thing you experience while being on camera is FUN energy. What If I'm Nervous to Be on Camera? Our drone is one of our favorite tools! The effect of LEGALLY obtained drone footage can work emotional wonders for your final videos. We LOVE to hook audiences with an epic drone shot, but ONLY IF it serves the story well and sends the message that needs to be sent. Some of our most effective videos have included NO drone shots. It's a common practice that, once the videos are completed, the typical videographer will send them back and say "Here you go, good luck!" This hands-off approach is anything BUT leverage. Leveraging your videos means, before ever pressing record, we have a defined vision for how the videos will be distributed to the EXACT people who NEED to see them. This may involve some sort of Facebook or YouTube or other digital ad campaign. Or this may be as simple as creating Instagram-specific content that takes into account certain platforms viewing parameters (think vertical video). Whatever the case may be, this is yet another reason we can't legitimately help you without first sitting down for a coherent Strategy Session. What Do You Mean By Leveraging our Videos? We totally understand and respect you may have a budget, especially as fiscally responsible business owners ourselves! However, if you come to us with a very specific budget in mind, we may have to refer you to other shooters who do that kind of thing. What we do is much different than simply being camera operators who happen to edit too! My Budget IS PRETTY SET IN STONE, CAN YOU STILL HELP ME?